Doubles the speed of most elevators. The Therum elevators that go down into the mine are unchanged. 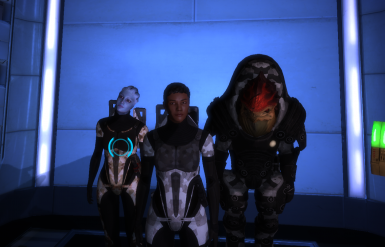 The one you take up after meeting Liara is faster. 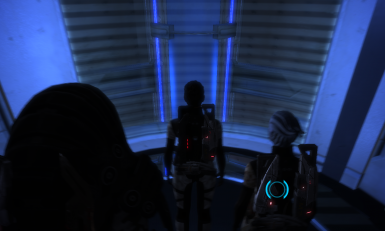 On Noveria, the elevator from the docking bay to the plaza has an intro greeting it plays the first time you use it. To make sure you can hear the whole thing, that elevator runs at original speed the first time. Every subsequent time you use it, it will run at double speed. The elevator on Feros, as well as the elevator on Noveria from Rift Station to the Hot Labs, have a fade to black in the middle. These elevators have not been modified. Merge folders and overwrite files when it asks. 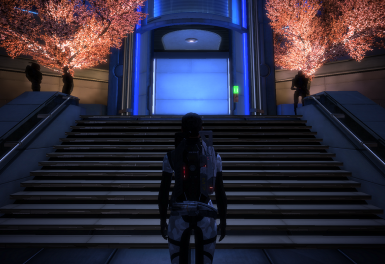 You may wish to backup the files this mod replaces, otherwise to uninstall you would have to re-install Mass Effect.